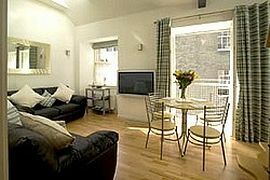 West Bow Holiday Apartment overlooks a private courtyard accessed through Edmonstone's Close, just off the Grassmarket where there is a collection of pubs, restaurants, and cafés, and the beginning of West Bow and Victoria Street which curves up the the Royal Mile to Edinburgh Castle. There are more excellent restaurants, antique shops and the specialist cheese supplier Mellis on Victoria Street. The flat is on the top floor of the newly converted old sail-makers' warehouse from the 1800s but which was famous more recently as the Traverse Theatre (the new Traverse Theatre is now about 10 minutes walk away). 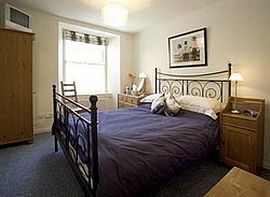 Luxurious comfortable accommodation in Edinburgh City Centre. 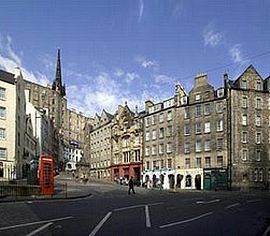 Local Services: Cafe's, restaurants, theatres, galleries, museums and Edinburgh castle on your doorstep. 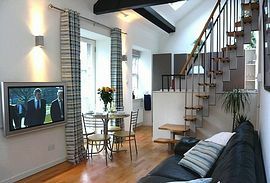 January, February, March, November, December £650.00. 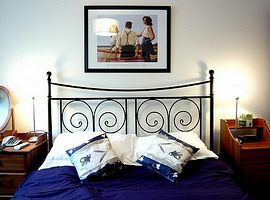 April, May, June, September, October £750.00. August (festival), New Year £1,275.00.